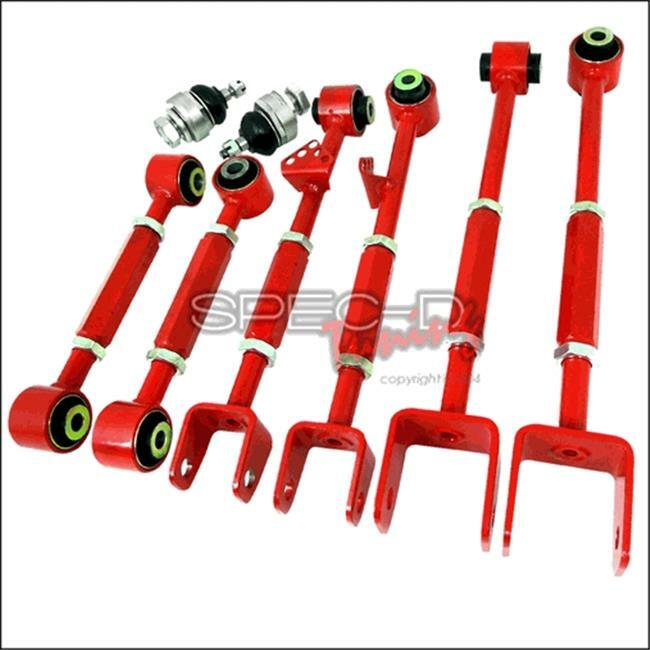 8 Pieces Camber Kit Front & Rear - At Spec-D Tuning, we pride ourselves on our superb knowledge of automobile parts and the accessory market that is rapidly evolving each year. Our extensive knowledge, as well as our willingness to act upon it, has enabled us to become the industry's lead automotive parts provider. Through our continuous pursuit of innovative ideas and by consistently refining our existing product line, we have become one of the global providers of cutting edge aftermarket automobile accessories and parts industry.